With a new logo and multiple pop-ups in the backroom, the Artists&Fleas Soho venue is a great place to shop, or hang during the holiday season. 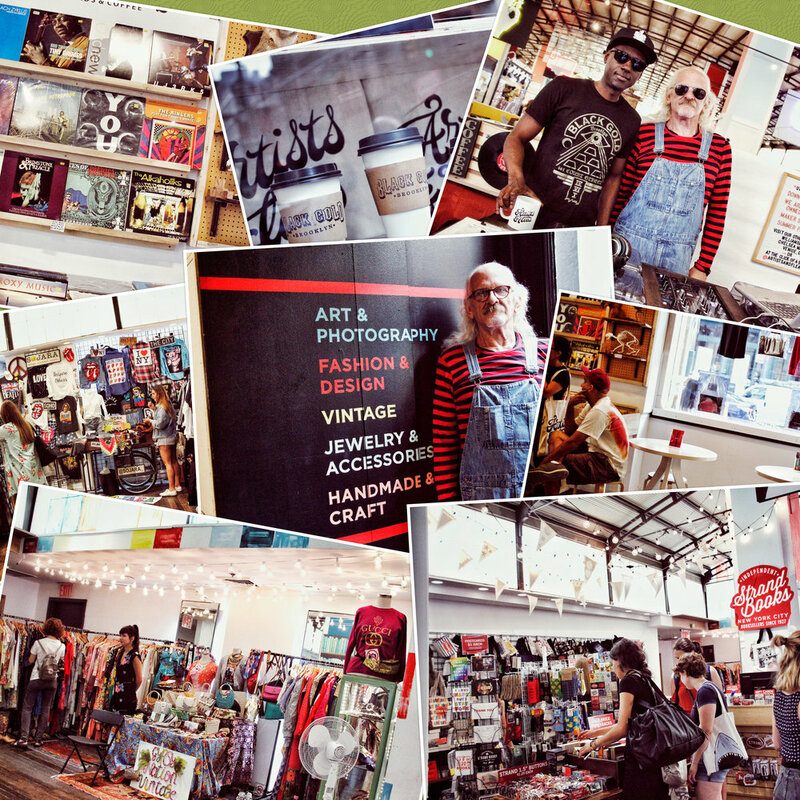 Vintage and contemporary fashion, crafts and unique gift items along with books, records, coffee, treats and music provided by excellent DJs. As one of the resident Djs I provide a wide ranging, atmospheric and fun mix right on the corner of Prince and Broadway. With the DJ booth right up front you can't miss us. Come by if your out.